Goals: One of the best ways to maintain your positivity and to stay inspired to keep pushing on with your treatment is to have a goal. This goal can be anything as long as it is achievable but challenging. When you have a goal, you will be able to strive towards something and when you finally accomplish it, this can help motivate you to reach even higher. Goals definitely can help you stay positive. Family and Friends: Surrounding yourself with friends and family can be a great way to lift your spirits and to stay positive. You will also benefit from the positive vibes and energy that your loved ones give off. Not only can they support you, but they can inspire you to improve your condition and to continue going through your treatments. Professionals: Knowing that there are professional doctors, nurses, and certified nursing assistants in Texas helping you can help you stay positive. 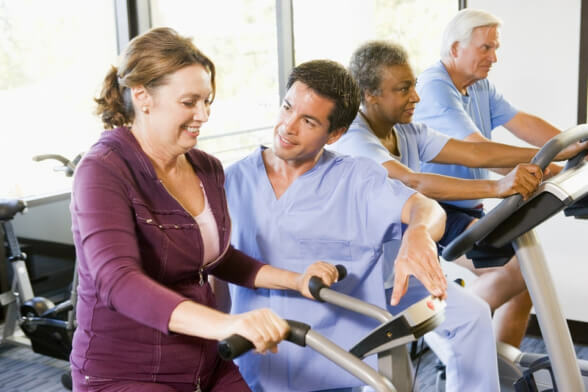 These are professionals that know what they are doing and have the experience to improve your condition and get you back on your feet as soon as possible. Results: It is important to remember to look at your results and see how far you have come. This can help put things into perspective and when you see the massive results and progress you have made, this can motivate you to keep going. Those are just a few of the many things to keep in mind when it comes down to staying positive during treatment. If you would like to find out more, please feel free to get in touch with Network Medical Staffing. We provide exceptional medical staffing in Oklahoma, nurse staffing in California, and medical staffing solutions in New York. This entry was posted in Medical Staffing and tagged Nurses Staffing, Positivity, Staffing Solutions. Bookmark the permalink.